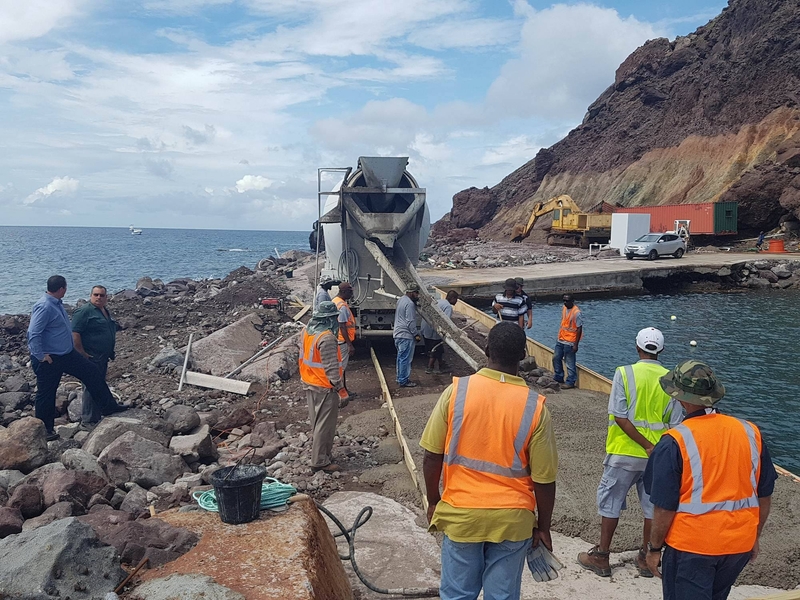 Saba has made temporary repairs to the small pier in anticipation of a bigger rehabilitation plan for the harbor. Photo: Public Entity Saba. The Bottom Saba- Hurricane Maria has caused quite some damage to the harbor in Saba. Especially the small pier sustained so much damage from the high waves that it was rendered nearly useless. As the pier is quite important for the use of local fishermen, but also small cruise vessels, the Public entity decided to execute repairs to the small pier, in anticipation of the execution of a bigger master plan for the overall improvement of the harbor. The public entity dubbed the emergency repairs a much needed quick-fix by a repair crew of the government. Commissioner of Public Works, Bruce Zagers, said he was pleased with the work executed by the Public Works construction department of the Public Entity.